Train Fare /Air Fare . 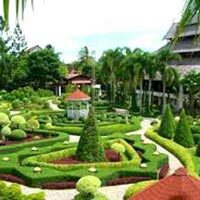 Arrive In Bangkok Proceed To Pattaya Noong Nooch Village Where You Will See Orchard Garden, Thai Traditional Show, Elephant Show. Evening We Take You To Alcazar Show. Over Night In Hotel. 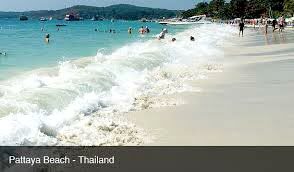 After Breakfast Proceed To Coral Island - A Island Which Is 35 Minutes Away From The Main Land Pattaya Beach, You Will Then Disembark On Waterbed, Where You Will Enjoy Parasailing On Your Own, And Then Proceed To The Beach Area By Small Glass Boat To View Corals. Covering 5.3 Ton Golden Buddha, Reclining Buddha, Pimai Khmer Sanctuary. Eiffel Tower, Statue Of Liberty. London’S Tower Bridge. Trevi Fountain Etc. Free Time For Shopping Over Night Stay At Hotel. After Breakfast Proceed To Bangkok. En-Route Visit The Biggest Gems Gallery In The World. Arrive At Bangkok. In The Evening Enjoy Chao Phraya River Cruise With Dinner And Live Music. Overnight Stay At Hotel. After Breakfast Proceed To Enjoy Fun And Excitement At Safari World, Visit Marine Park, Enjoy Orangutan Boxing Show, Sea Lion Show, Hollywood Cowboy Stunt Show, Dolphin Show And Spy War Show. Explore Wildlife Like Giraffes, Zebras, Tigers, Lions And Many More At Safari Park. Evening Free For Shopping In Bangkok. Overnight Stay At Hotel. 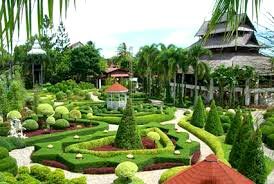 After Breakfast Proceed For City Tour Includes The Golden Buddha Followed By Principle Buddha And Reclining Buddha. Enjoy Magnificent View Of Bangkok From The Revoiving Observatory Deck Of Thailand’S Tallest Hotel Sky Baiyoke. Spend An Hour Shopping At Indra Square. Overnight Stay At Hotel. After Breakfast Check Out From Hotel & Proceed To Bangkok Airport To Board The Flight To Kuala Lumpur. 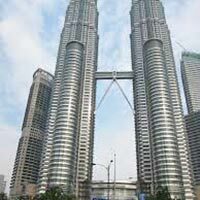 Arrive At Kuala Lumpur. On Arrival Proceed To Genting Highlands, En-Route Visit Batu Caves. Travel By Asia’S Longest And Fastest Cable Car To Genting Highlands. Try Your Luck At Famous Casino De Genting. Overnight Stay At Hotel. After Breakfast Proceed For Outdoor Theme Park At Genting Highland, Enjoy Various Rides Like Space Shot, Go-Karting, Roller Coaster, Jurassic Park, Merry Go Round, Space Mountain, Mini Train Ride, Flume Ride And Flying Dragon At Genting Theme Park. Visit The Snow World At The Indoor Theme Park. 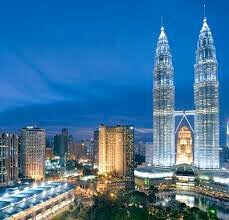 Arrive At Kuala Lumpur In The Evening. Overnight Stay At Hotel. After Breakfast Proceed For Sunway Lagoon. Enjoy The Most Spectacular Adventure And Never Ending Excitement Of Rides And Water Slides At Sunway Lagoon’S – Waters Of Africa, Evening Free At Leisure. Overnight Stay At Hotel. 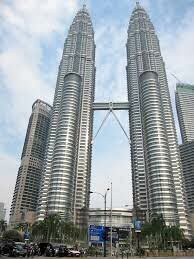 After Breakfast Proceed For Kuala Lumpur City Tour, Enjoy Magnificent View Of City From The Observatory Deck Of The K.L. Tower, Photo Stop At Petronas Twin Towers. During City Tour View King’S Palace, Dataran Merdeka Square, National Mosque, National Monument, Cricket Field, High Court Building. 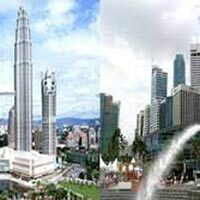 Visit Putrajaya The Administrative Captal Of Malaysia. Free Time For Shopping. Overnight Stay At Hotel. After Early Breakfast Proceed To Singapore By Coach. Arrive At Singapore. On Arrival Check In To Hotel, Evening Visit Night Safari. Take A Tram Ride, See Creatures Of Night Show. Overnight Stay At Hotel. Day 11: Singapore City Tour, Singapore Flyer Ride, Sentosa Island. 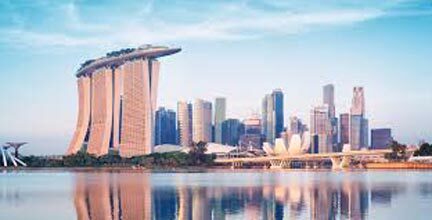 After Breakfast Proceed For Half Day Singapore City Orientation Tour Includes The Parliament House, Suntec City. 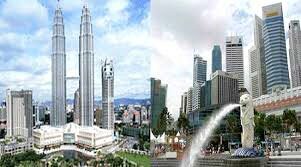 Fountain Of Wealth, City Hall, Orchard Road And Swiss The Tallest Hotel In Singapore. Visit Orchid Botanical Garden, The Statue Of Sir Thomas Stamford Raffles. Experience The Singapore Flyer Ride Offering The Breathtaking Panorama Of The Shimmering Marina Bay Waterfront And Historical Landmarks Dotting The City Skyline. Afternoon Proceed For Sentosa Island. Experience The Cable Car Ride From Mt. Faber To Sentosa Island. Visit Images Of Singapore. The Pioneers Of Singapore, The Surrender Chambers. Festivals Of Singapore And Wax Walk. Take A Thrill Of Sky Tower Or Lugoon With Sky Ride, An Unique Experience. 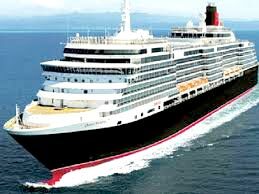 Enjoy The ‘Songs Of The Sea Show’ In The Evening. Travel Mono Rail. Overnight Stay At Hotel. Day 12: Singapore Full Day Universal Studios At Sentosa, Overnight Stay At Hotel. 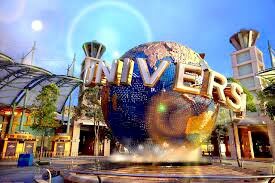 Singapore Full Day Universal Studios At Sentosa, Overnight Stay At Hotel.